How cool is this? 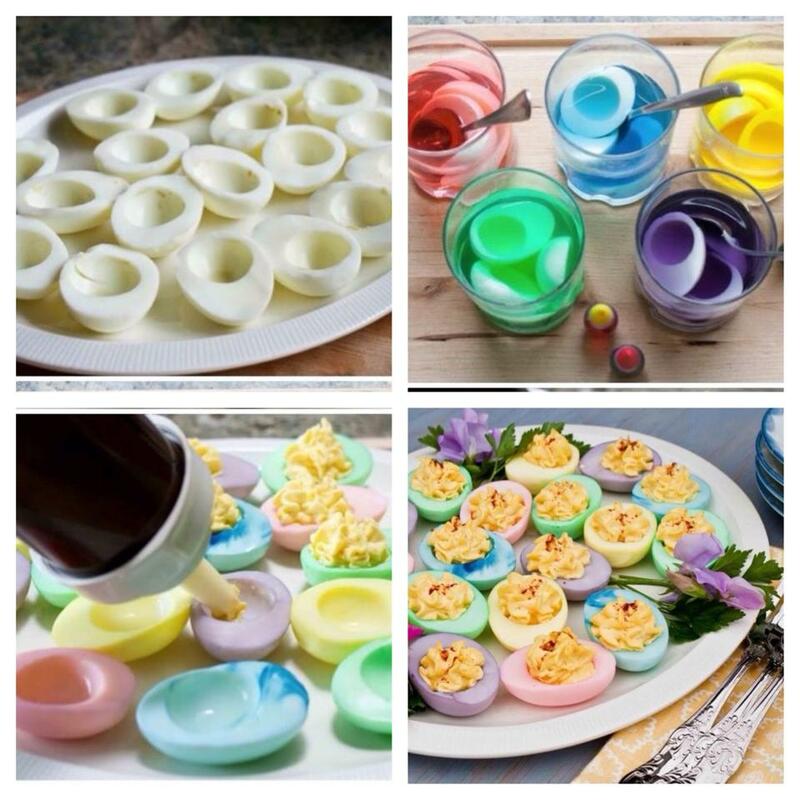 Make deviled eggs as usual except when you get the eggs cut and separated from yolks dye the white halves in different Easter colors with food coloring or Easter egg coloring dyes. Use same recipe that is the family favorite for filling. Makes a great surprise setting. This entry was posted in Recipes, ~Dinner, ~Holiday and tagged Boil, boiled, Color, colors, deviled, deviled egg, deviled eggs, display, dye, easter, egg, eggs, fun, hard, pastel, presentation. Bookmark the permalink.